Best Laptop for Writers: Choose Wisely and Fulfill Your Writing Dreams! 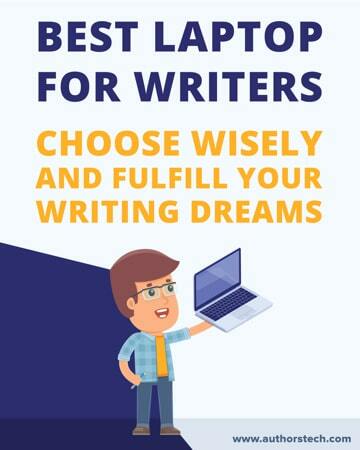 >> Best Laptop for Writers: Choose Wisely and Fulfil Your Writing Dreams! It’s easy to fantasise about the image of you sitting and typing away on a classic typewriter, writing the next great American novel. Or, maybe even scrawling out your novel by hand, filling up pages of a rustic journal. Although those are nice thoughts, they aren’t really practical. Especially, if your goal is to make a living with your writing. For today, the modern writer’s tool has become the laptop. Now, you might not think twice about your choice of laptop. As long as it has a keyboard, you’re good to go. However, there’s a lot more to consider than just the quality of your keyboard. If your goal is to make a living as a writer, then your laptop is the single piece of technology that’s going to help you to do just that. Your laptop needs to be with you through thick and thin, whether you’re waking up with the sun to hit your daily word count goals, or burning the midnight oil to hit a deadline. Your laptop needs to be by your side, enabling your writing, not holding you back. As a writer, you don’t demand a lot from your laptop. The latest technical specs might seem enticing, but in reality, all you need is a comfortable keyboard, a solid screen, and great battery life (for those times when you can’t find an outlet). Screen size probably isn’t something you’ll think twice about. But, the size of your screen is pretty important. Sure, when you’re getting into the flow of writing you’ll have a word processor open and hopefully, the wifi switched off. But, what about when you’re researching your next book or an article for a client? If you’re like me you’ll probably have 50 different tabs open, and constantly jump back and forth between each one. For times like this, a tiny 10-inch screen probably won’t cut it. Plus, you’ll need the working memory to handle that many tabs, and the numerous programs you’ll have open. Another thing you’ll want to think about is eye strain. Smaller screen sizes can cause our eyes to squint and strain, which can get pretty uncomfortable after a while. Opt for a larger screen that’ll help out your vision. A solid keyboard is as good as gold. Nothing will kill your writing productivity faster than a clunky keyboard. Your keyboard needs to fit you like a glove. Your fingers need to easily glide over the keys, and it needs to feel like home. Everyone will have different preferences, but finding a keyboard with solid ergonomics that fits your hands will greatly aid in your writing success. Spend some time reading through the reviews and see what real users have to say about the keyboards. Most Macs are known to have very comfortable keyboards, but other laptops are known for their keyboard quality as well. Check out the section below for a few laptops with stellar keyboards (but remember you always have the option of using a third-party keyboard). Whether you’re just getting started as a writer, or you’ve been writing for quite some time, you probably have your own writing habits. Even if you prefer to write from home, you’ll probably want to leave the house every once in a while (even if it’s just for your health). Or, you might prefer to write from coffee shops, co-working spaces, or on your couch. Basically, any time you want to work away from your desk or kitchen table, you’re going to be aware of how portable your laptop actually is. Generally, the bigger your screen and longer your battery life the heavier your laptop will be, but there are exceptions. Overall, you’ll want to find a balance between the weight of your machine, and the other features you require. For this reason, it’s always a good idea to search for an affordable laptop that still meets all of your needs. Luckily, today’s laptop market is so competitive that you’ll be able to find the perfect laptop that still fits within your budget. Chances are there won’t always be an outlet available. Plus, it seems like every outlet mysteriously vanishes the moment you need one the most. When you’re in the flow of writing the last thing you want to do is unplug yourself from your work and go on a search for a power outlet. For this reason, your battery life is something you’ll want to take seriously. Some laptops will push 10 hours from a single charge, while others top out at 3 hours. Keep the above elements in mind throughout your search for the best writing laptop. What is the Best Laptop for Writers? Now that you have a better understanding of what to look for in a laptop it’s time to highlight some of the best we’ve been able to find. Now, it's difficult to crown a single laptop king of the writing world. As writers, we all have different needs and requirements from a machine. So, instead of ranking them from the best to the worst, you'll find a breakdown of its features, and what each laptop does best. The HP Notebook 15-ay0011nr is a super solid machine. It not only boasts a huge 15.6-inch screen but also packs a 1TB hard-drive. Even if you wrote a few billion words, you’d have a hard time filling it up. However, with the large screen and a high level of storage, you do sacrifice a bit of portability. It is heavier and bulkier. But, for writers who demand performance, this can be a great machine. Plus, the battery life clocks in around 7 hours, more than enough for a day’s work. Cheap price, great screen, and massive storage. I don’t know what it is, but it seems that most writers prefer Mac computers. (It’s the computer I’m using to write this post). The MacBook Air 13.3 is one of the ultimate laptops for writers. It’s sleek, lightweight, high-performing, and even packs an impressive screen resolution. And you’ll get a battery that lasts around 12 hours off a single charge! The storage is smaller than most other laptops, currently 128GB. But, for that minor sacrifice you get one of the most portable machines out there. Plus, with a Mac computer, you get the ultra easy to use Mac OS. If technology isn’t your thing, then going with a Mac is the way to go. ​Incredibly portable, fast, and a great screen. 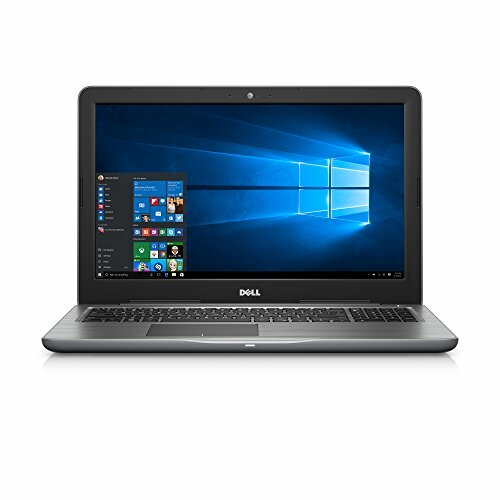 The Dell Inspiron 13 5000 is a very unique laptop in that it crosses over into tablet territory. These 2-in-1 laptops offer you ultimate flexibility, where you can fold the screen back and use it as a tablet, or flip the screen around and type away as you would on a traditional laptop. Beyond the unique folding touchscreen feature, it also boasts a stellar screen resolution and has a backlit keyboard. Perfect for those late night writing sessions. For performance you’ll get the 8th gen Intel processor, and have 256GB of storage to work with. ​Unique 2-in-1 functionality, touchscreen, and solid storage. Are you a writer on a budget? Or, maybe your old laptop won’t get the job done and you’re looking for something cheap and fast? If so, then the Acer 14 Chromebook can be a great choice. There are some drawbacks to this computer, namely, there’s not much you’ll be able to do with this computer if you don’t have an internet connection. So, you can’t use Word or any other operating system specific writing software. But, you can use programs like Google Docs, and you can even use it in offline mode as well. You’ll get access to the unique Chrome OS, and the suite of existing Google Apps. Plus, it has a stellar battery life and you can expect to get 12 hours of work time from a single charge. If you’re looking for a cheap and lightweight computer with a comfortable keyboard and can get over the drawbacks above, then this might be the writing laptop you’ve been looking for. Very cheap, lightweight, great battery. Is battery life the be all end all of what you’re looking for in a laptop? Then look no further. The Lenovo Thinkpad T470S boasts a battery life of over 12 hours. Imagine waking up in the morning, leaving your house (without a charger) and knowing you won’t have to frantically look for an outlet all day. There’s nothing quicker that breaks your writing flow than when you can see your battery life draining before your eyes. Beyond a stellar battery life this laptop uses 6th generation Intel processors, has a solid amount of storage, uses touchscreen technology, and is incredibly light. Plus, it has a backlit keyboard, perfect for those late night writing sessions. It is a little bit more expensive than the other laptops on this list, but with its high performance and overall feature set the price is justified. Great battery life, light and very portable. Maybe your biggest selling point when looking for a laptop is the keyboard? Now both the MacBook Air (profiled above) and the MacBook Pro (profiled below), have stellar keyboards. But, maybe you don’t have the budget to join the cult of Mac, or you’re a PC guy? Well, then the Dell Inspiron i5567 is the laptop you’ve been looking for. It’s budget friendly, has decent performance and battery life, plus its backlit and responsive keyboard has gotten incredible user reviews. It’s also equipped with a large screen, has 1TB of storage, and runs on the 7th generation Intel processor. Not only that, but it’s pretty easy on the wallet, too! ​Great keyboard, fast, and, large screen. This list wouldn’t be complete without the MacBook Pro. It is the most expensive laptop on this list, but you’ll have a hard time finding someone who owns a MacBook Pro that doesn’t absolutely love it. With the beautiful retina display, super fast processing speeds, ample storage, and up to 10 hours of battery life, it has everything you could possibly want in a machine. Plus, since it’s a Mac, it’s incredibly easy to use. Not only that, but even with all those features it’s a very light machine, and comes with a comfortable backlit keyboard. If you love the Apple ecosystem of products and want a machine more powerful than the MacBook Air above, then this is the laptop for you. ​​Very high performing laptop, incredible retina display. The Asus ZenBook is another higher priced laptop. But, it packs in a lot of features to make up for the higher price tag. Probably the biggest selling point is the innovative touchscreen. Once you start to utilise the touchscreen in your workflow it’ll probably be difficult to go back to a normal display. Not only can you touch the screen, but it also boasts a 15.6” display that has 4k resolution, making it one of the best quality displays on our list. If the size and resolution of your screen matters and you’re willing to sacrifice a little portability for a larger screen size, then this laptop is worth checking out. Beyond the super screen, you’ll find 1TB or storage, a super fast processor, and an average battery life of 6 hours. ​Touchscreen display, great resolution, very fast, and massive storage. Even with the list above it’s hard to make a blanket recommendation of the best laptop for every writer. We all have different workflows, writing goals, and needs. The perfect laptop for one writer might be nothing more than an expensive hunk of plastic to another. Do I value portability or power? How much do I care about screen size? Does the operating system matter? How much writing do I do outside the house? With your answers to the questions above, see if any of the laptops mentioned in this list meet your expectations. 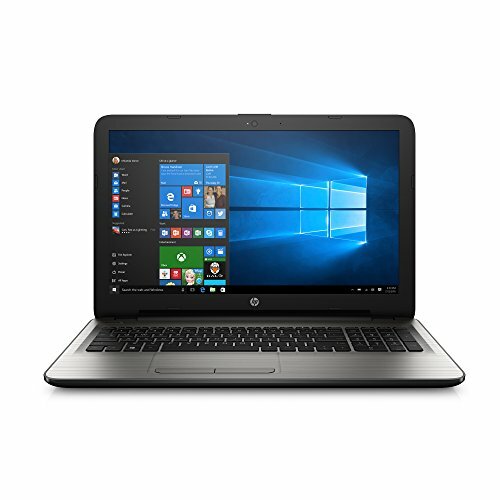 HP Notebook ay0011nr - Cheap price, great screen, and massive storage. 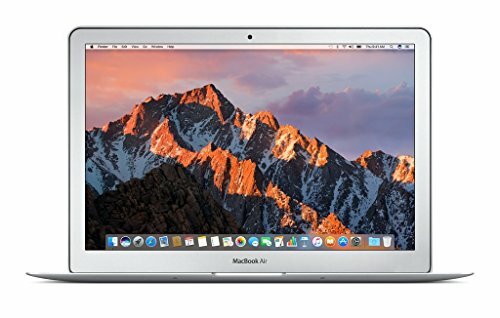 MacBook Air 13.3” - Incredibly portable, fast, and a great screen. 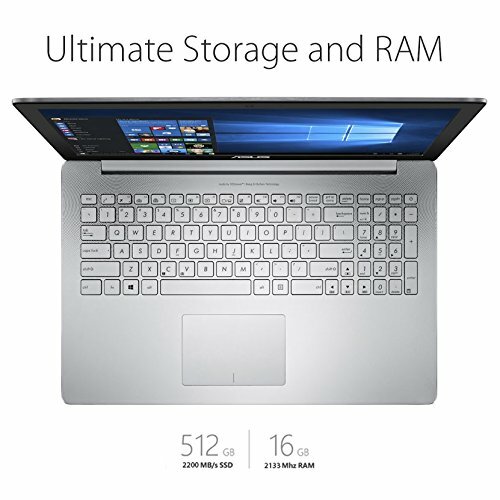 Dell Inspiron 13 5000 - Unique 2-in-1 functionality, touchscreen, and solid storage. 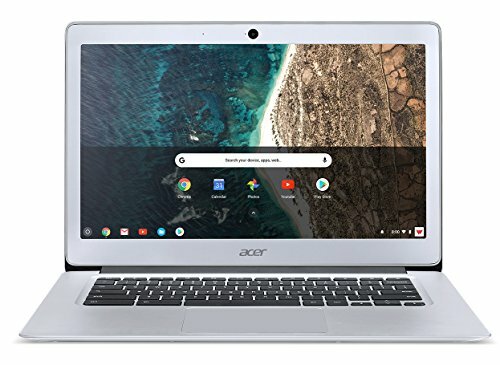 Acer 14 Chromebook - Very cheap, lightweight, great battery, but limited OS. ThinkPad T470 - Great battery life, light and very portable. Dell Inspiron i5567 - Great keyboard, fast, and, large screen. 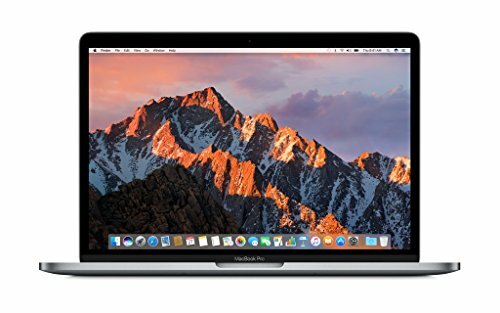 MacBook Pro 13” - Very high performing laptop, incredible retina display. Asus ZenBook Pro Ux501VW - Touchscreen display, great resolution, very fast, and massive storage. In the end, the laptop you choose is all about personal preference. Hopefully, you have a few potential writing laptops in mind that’ll help to supercharge your productivity and writing career. Are there any laptops we didn’t mention above? Please share your favourite writing laptop, or what laptop you have your eyes on in the comments below. 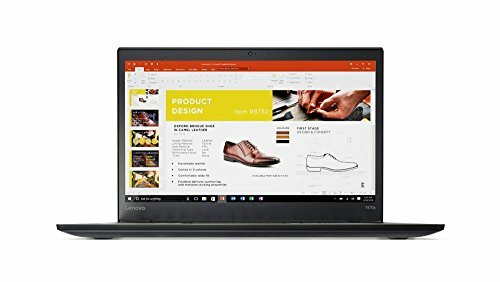 How to Choose the Best Laptop for a Writer? 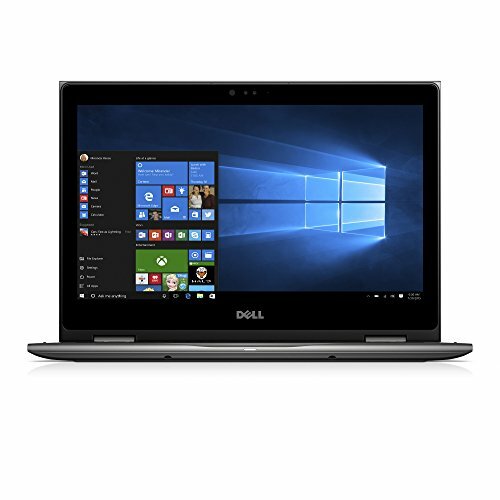 I’m looking to upgrade my old laptop that is a Dell inspiration 17in I will be writing with it . But as it’s about 10yrs old and very slow, I would like something with he same screen size or bigger, windows 10 . Can not afford to spend the earth. But can you suggest anything. Hey Julia. If you’ll be using it only for writing and ‘basic’ stuff (web surfing, email, etc. ), have you considered a tablet, instead of a laptop? ?